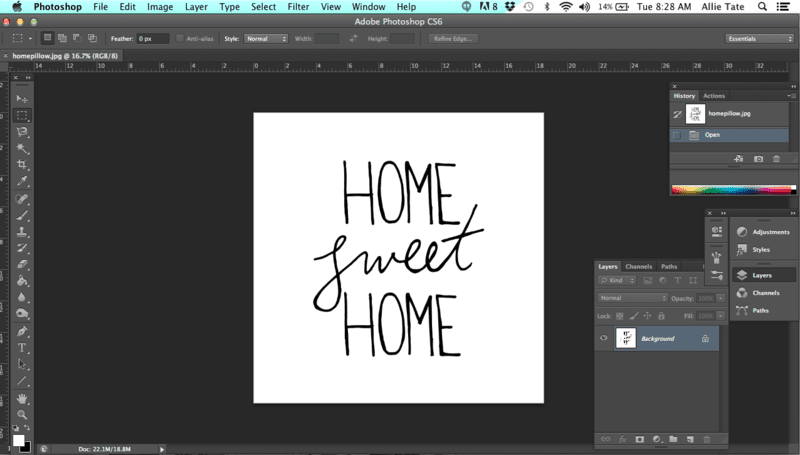 Today, Spoonflower crew member Allie visits the blog to share how to create a simple handwritten design using Adobe Photoshop. 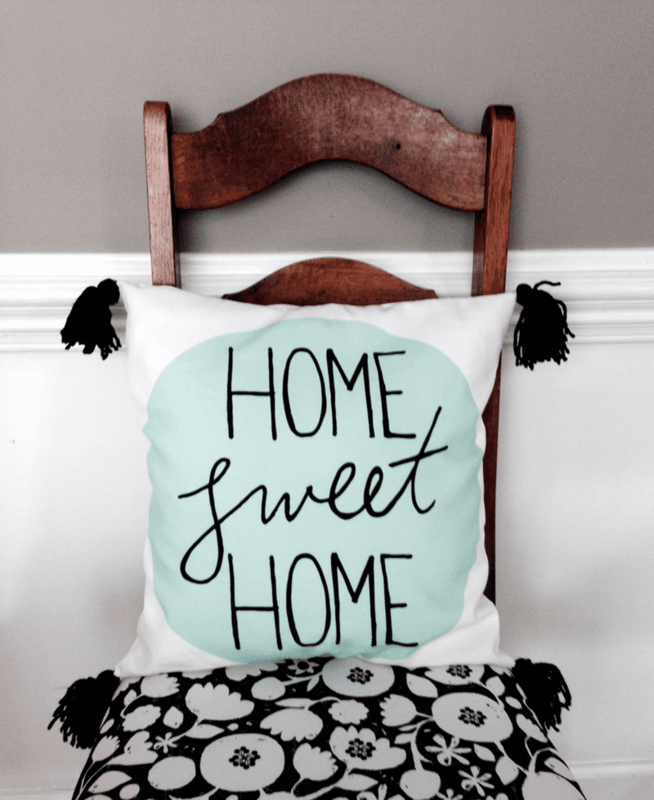 A throw pillow is my go-to project when I'm looking to freshen up a space in my home with minimal effort. This tutorial shares how to easily create a custom fabric design to add a special handmade touch to your space. 1. 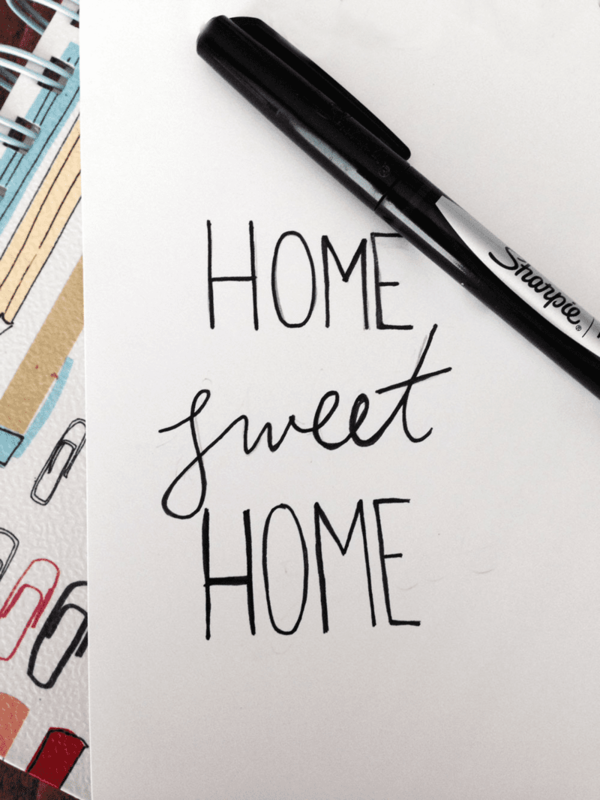 Using a pencil, sketch out the words you'd like to be featured in your design. 2. Once you're happy with your sketch, take a black marker or pen (I love Sharpie pens) and trace over your design creating solid black lines. 3. Scan your image or take a crisp, clean photograph with your smart phone or camera. 4. 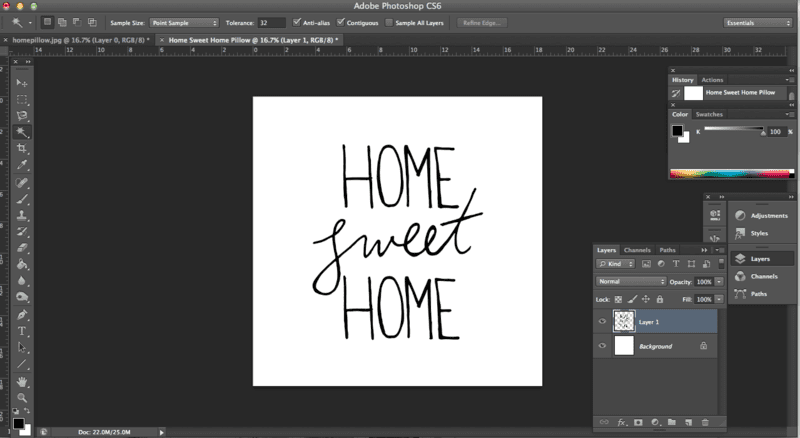 Open your scanned handwritten design in Photoshop. 5. 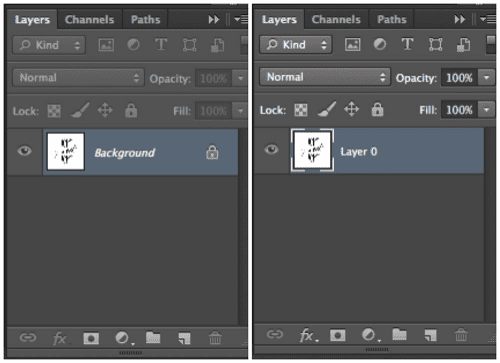 Click on the lock symbol in your layers menu to unlock the background layer to create "Layer 0." Now you have more freedom when editing this layer. 6. 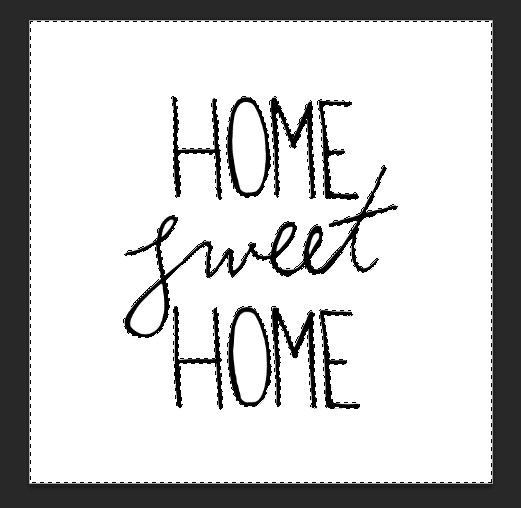 Using the magic wand tool from your tool bar, click the white background of your design. This will select everything that is white, leaving your black letters. 7. Once you have selected the background, simply delete the selected part of your design. This leaves you with a transparent background. If you have loops or closed shapes in your design, you will want to repeat the same steps to delete the color inside of them. 8. 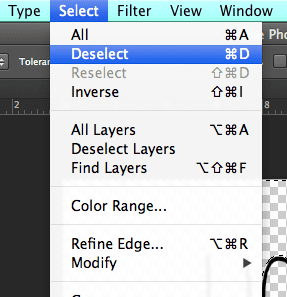 Navigate to Select and choose Deselect to remove the selection on any part of your design. 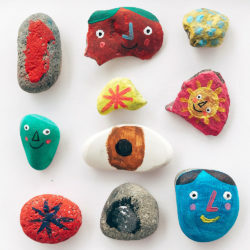 Now you are left with just your hand drawn design element on a transparent background. 9. At this point, you can work with this element to create an all over repeat, or a design engineered print for a particular project. 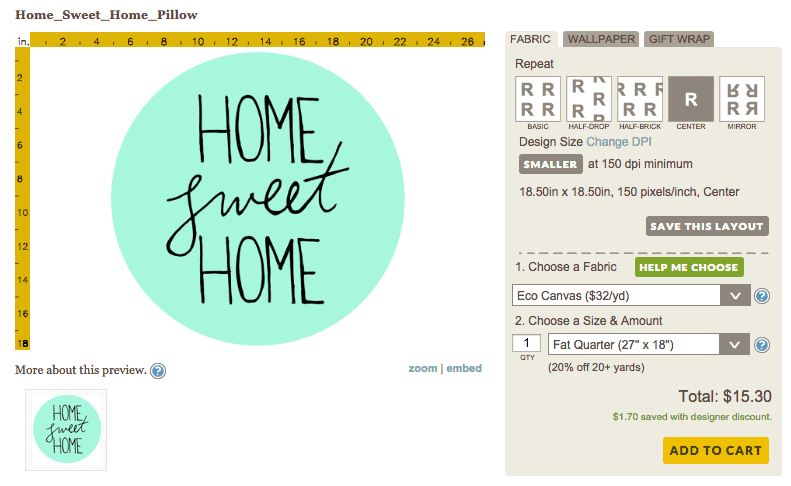 I chose to create a throw pillow with my handwritten design. 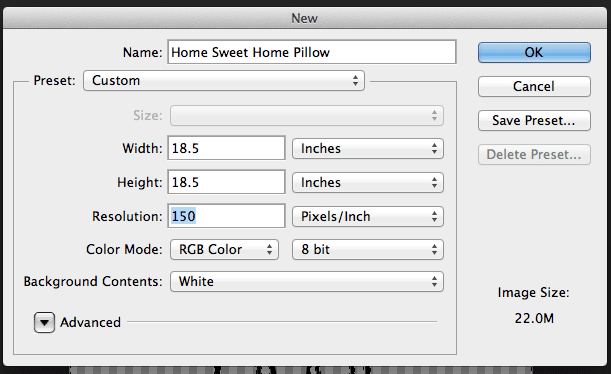 To do so, I now opened a new Photoshop file sized 18.5 inches by 18.5 inches. 10. Next I copied and pasted my handwritten design element on to my new file. First, select your entire design using Control + A (or Command on a Mac) or Select–>All. To copy and paste, you can use Control + C and Control + V (or command on a Mac) or Edit–>Copy then Edit–>Paste. 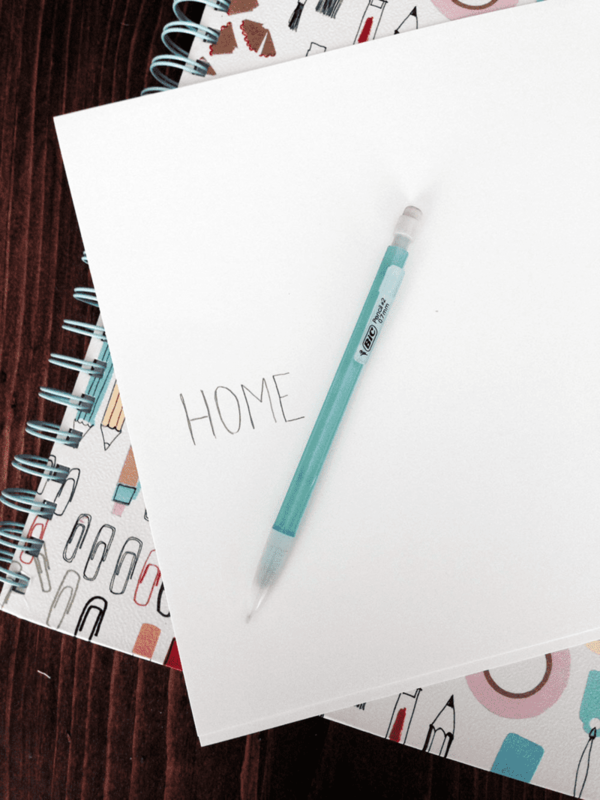 Notice that your handwritten design is on its own layer. To edit this portion of your design, you will have to select that layer. 11. Using the transformation tool, you can resize and move your design. To access this tool, use Control + T (or Command on a Mac) or Edit–>Free Transform. 12. 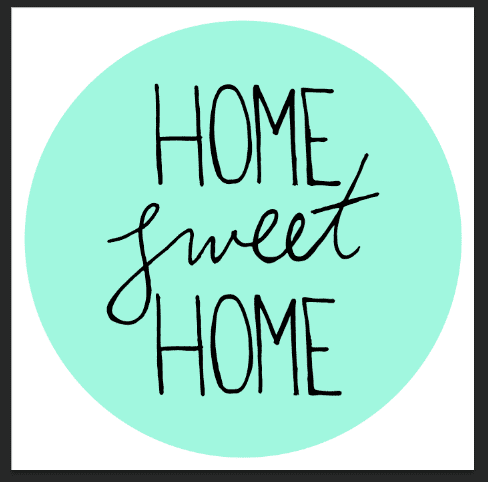 To complete my design, I wanted to add a turquoise circle behind my handwritten words. To do this, I used the ellipse tool, which is found in your toolbar, under the rectangle tool. 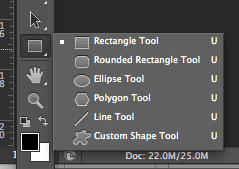 Click and hold the rectangle tool and navigate down to the ellipse tool in the pop up window. 13. 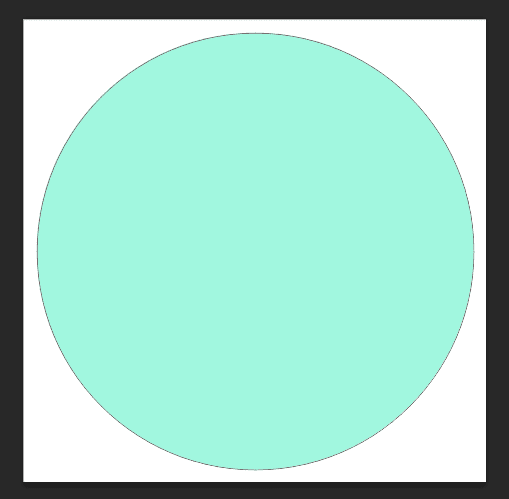 With the ellipse tool, I drew a circle behind my design. Before drawing, I changed the fill color to my desired color and the stroke to no color. 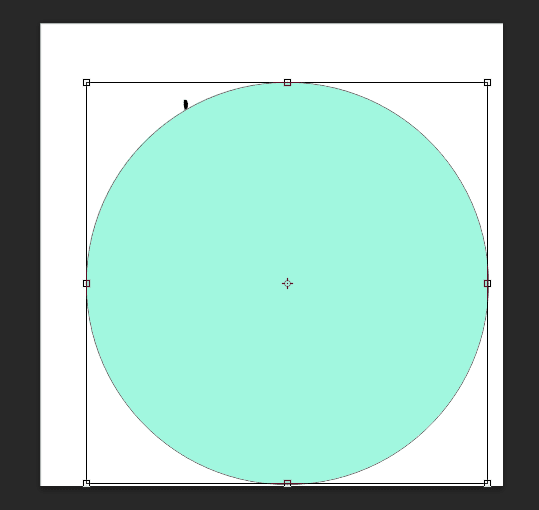 When using this tool, you can hold down Shift to keep the proportions the same and draw a circle. 14. Once my circle is drawn, I can again use the transformation tool to adjust the size and move into the correct place. 15. Now that I have my circle the size that I want and in the correct spot, you will notice that my words are hidden behind it. 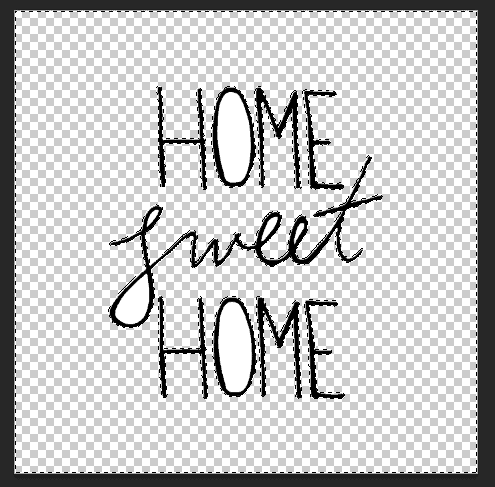 Now I just have to reorder the layers to have my handwritten text on top of the circle. 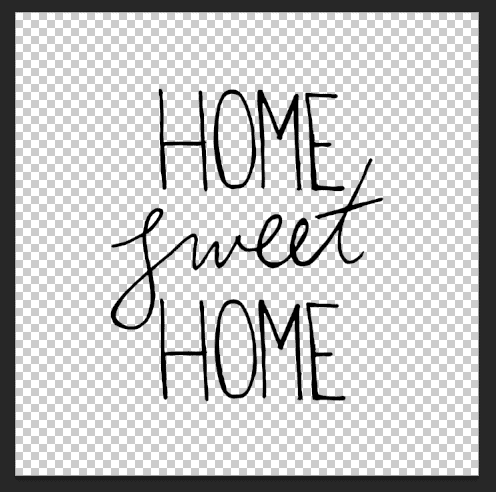 To change the order of your layers, click and drag the layer that you would like to move to the new spot. 16. Once my layers have been reordered, I'm ready to save and upload to Spoonflower. 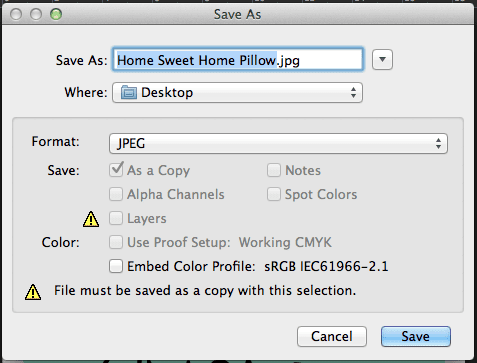 I want to save my file as a JPEG with a unique name in a place I can easily find for uploading. 17. 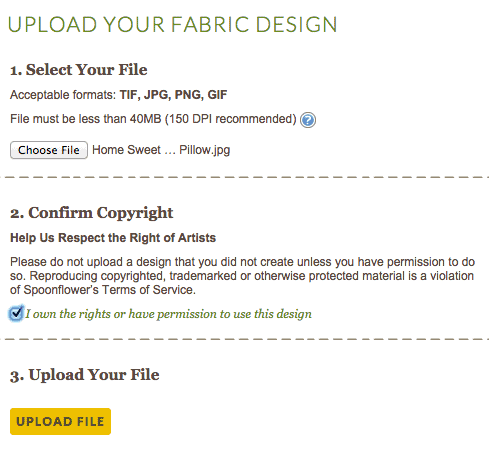 To upload to Spoonflower, first log in, or create an account. 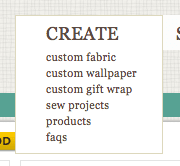 Then from your studio home page hover over Create and choose Custom Fabric. 18. On the upload page, find your design, confirm that you have the rights to upload your design, and hit upload! 19. 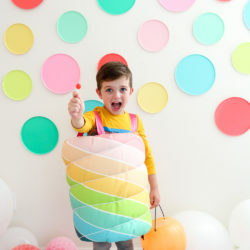 Now you're ready to place your order – just choose the "repeat" option, fabric type, and quantity! 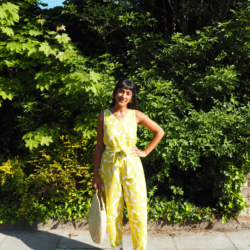 When your fabric arrives, you're ready to sew! I stitched up a simple envelope pillow and added tassels to each corner for a little whimsy! Great instructions! What would the most cost effective way to set up tea towels be? Fat quarters? Thanks, Denise! 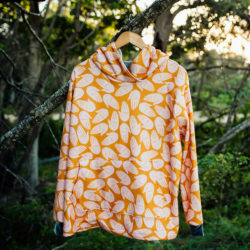 If you're only going to order one tea towel, setting it up as a fat quarter will be the most cost effective way, but if you're planning to order two or more, I would go ahead and order four on a yard to get more for your money.